Sammy Davis, Jr.: I’ve Gotta Be Me is the first major film documentary to examine Davis’ vast talent and his journey for identity through the shifting tides of civil rights and racial progress during 20th-century America. Sammy Davis, Jr. had the kind of career that was indisputably legendary, so vast and multi-faceted that it was dizzying in its scope and scale. And yet, his life was complex, complicated and contradictory. Davis strove to achieve the American Dream in a time of racial prejudice and shifting political territory. He was the veteran of increasingly outdated show business traditions trying to stay relevant; he frequently found himself bracketed by the bigotry of white America and the distaste of black America; he was the most public black figure to embrace Judaism, thereby yoking his identity to another persecuted minority. 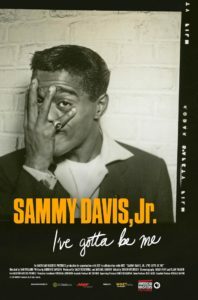 Featuring new interviews with such luminaries as Billy Crystal, Norman Lear, Jerry Lewis, Whoopi Goldberg and Kim Novak, with never-before-seen photographs from Davis’ vast personal collection and excerpts from his electric performances in television, film and concert, Sammy Davis, Jr.: I’ve Gotta Be Me explores the life and art of a uniquely gifted entertainer whose trajectory blazed across the major flashpoints of American society from the Depression through the 1980s. The Pittsburgh (UN)CUT Film Festival is an annual event featuring independent filmmakers latest works. Be the first to find out about specials, upcoming films and events happening at the theater. Check out past events that helped shape the Parkway Theater.